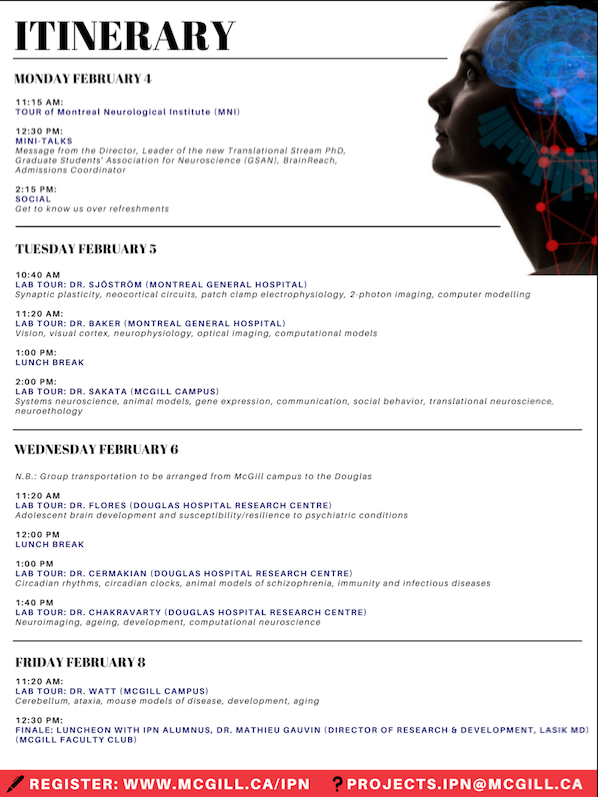 Throughout the week of February 4 2019, the IPN Open House welcomed interested individuals and prospective students to attend its daily events, during which they met the director and admissions coordinator, interacted with the members of our student association, learned about the award-winning community outreach program managed by our very own, and visited the labs of our professors. As a final touch to the Open House, our visitors attended a sit-down interactive luncheon with IPN alumnus, Dr. Mathieu Gauvin, Director of Research & Development at Lasik MD, on the last day. 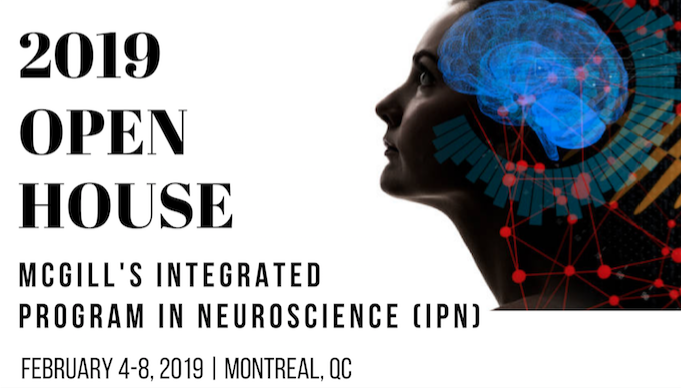 For additional information, please contact Dhabisha Kohilanathan (projects.ipn [at] mcgill.ca (subject: 2019%20IPN%20Open%20House) ). 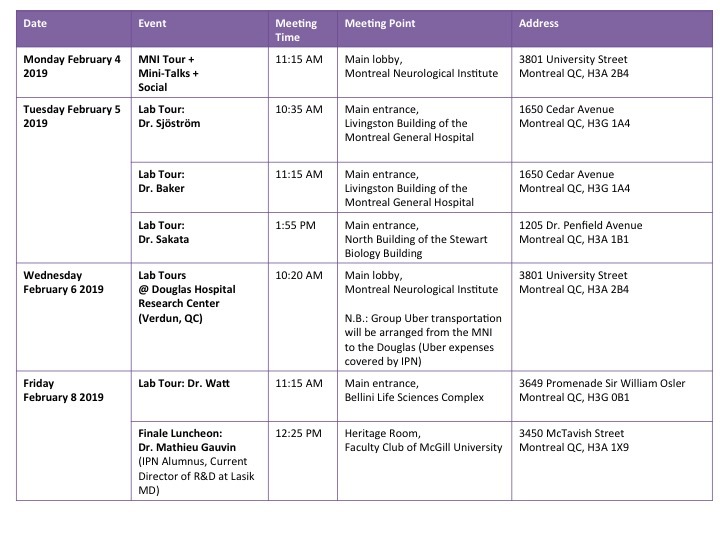 The 2019 IPN Open House will be spread out over multiple locations/research sites across Montreal. Please refer to the following table to determine the meeting point for each of the event days. Is the IPN Open House an opportunity for me to be interviewed for admission into the program? No. The IPN Open House is an annual event that welcomes interested individuals and prospective students to attend its talks, lab tours and luncheon, during which they can meet and network with the program's professors and students, and discover the various academic and extracurricular opportunities that IPN offers. I am unable to attend all of the Open House events. Can I register for specific ones instead? Absolutely! During the registration process, you will be prompted to select the events you would like to attend. Yes. However, please note that travel/accommodation expenses are not covered.